“Love is Strange” and the rating system is even stranger! There are films that you forget the moment you leave the theater. There are movies that linger in your mind for days. And occasionally, there are lovely pieces of cinema that leave you quietly weeping in the theater and make you want to invite everyone you know to Go See It! But for Love is Strange, you can’t. Because this tale of love separated by Catholic hypocrisy and the trails of one family trying to cope with a lack of privacy (and the greater problem–a lack of communication) is rated R. Only in America would a scene of two men in a loving marriage sharing a bed and a few chaste kisses warrant a protection from teenagers seeing it alone! Please, go enjoy wanton violence and destruction in Transformers (PG-13!) but stay away from films that might increase your understanding of gay love. Stepping down off my soap box. Please take your teens to see this. There is a subplot involving a moody teen that will interest them with an amazing performance by the young Charlie Tahan. His scene at the end of the film will break your heart. This quietly affecting story of long-term love; a partnership that has survived the test of infidelity but now must face homelessness, is a far-better life lesson than the teen soap operas The Fault is in Our Stars or If I Stay. John Lithgow and Alfred Molina are endearing and Marisa Tomei is the working mom who must try to navigate this challenging situation. Beautifully-acted with no need for car chases or mysteries, director Ira Sachs has crafted a wonderful movie. Love is Strange deserves to be seen by a wide audience. 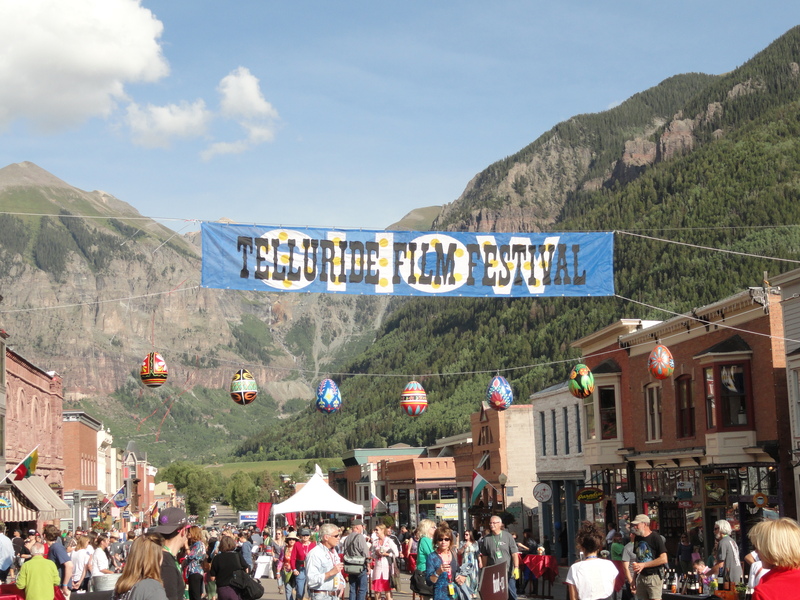 I’ve been working film festivals for 20+ years and this year, I finally made it to the Telluride Film Festival. Why, oh why, did I not make it sooner?!! The scenery is phenomenal. The program is extraordinary. The comradery between staff and volunteers is so congenial as to be contagious to attendees…and did I mention the glorious sunsets and the STARS? Both the literal ones that sprinkle in the deep black of night, and the world-famous (members of the Film Legend Club) walking casually down the streets of Telluride. There is something about the brevity of the festival (only four days this year!) and the numerous screening venues that all movie-goers must trek to (gondolas, bicycles, a leisure stroll down the main street) to view the amazing films that adds an intensity to the experience. I had read that there was a controversial announcement that Toronto International Film Festival wouldn’t screen ANY film that had it’s festival premiere elsewhere (ie @ Telluride, which opens the week before TIFF!) but one of the festival favorites was at both: The Imitation Game. 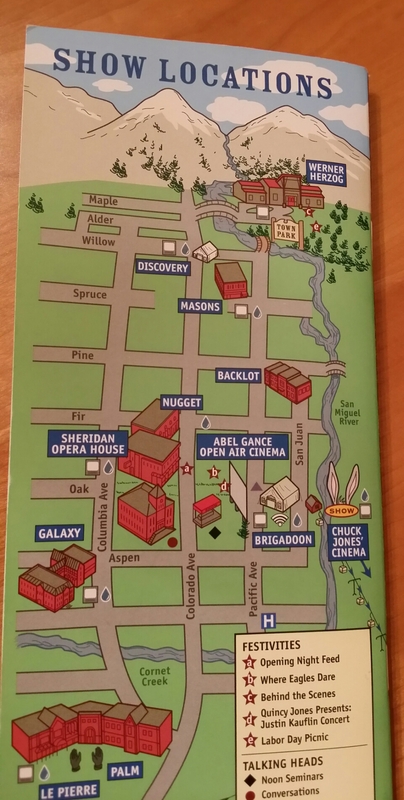 There is no way any film lover can see ALL the films at Telluride but the festival staff does try hard to make the most popular films accessible by having repeated screenings. 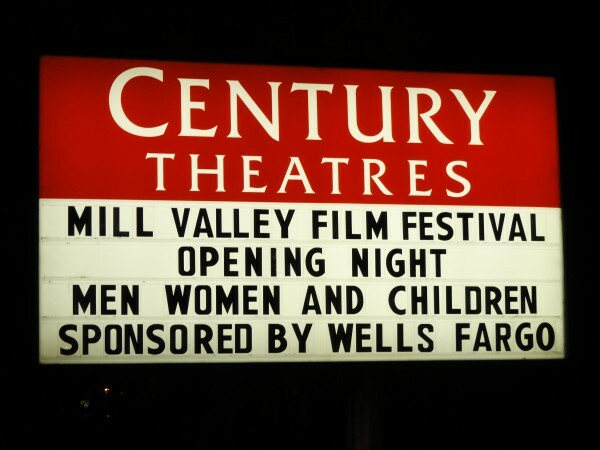 I’m sure I wasn’t alone in wishing that there was one more day…maybe two…to make it to a few more screenings! But isn’t it better to be left wanting more? And my favorites: the thrilling Imitation Game, the surprisingly-good Birdman and the gripping Look of Silence! This photo says it all: two actors cast against type and sporting large prosthetic schnoozes! There was some buzz about Steve Carell’s amazing performance in Foxcatcher, but with an exaggerated speech pattern and stilted performance as a wealthy wrestling enthusiast, he’s almost a comic book character. As his obsession (and lover? ), Channing Tantum sports a companion fake nose and a comically-stiff walk with so little dramatic range, that his character is hard to root for or to even find like-able. In contrast, Mark Ruffalo (even in a bad hair piece) gives a restrained performance and exudes the only warmth in the film. His performance comes off as natural and even though he looks nothing like his supposed brother, there is a warmth and chemistry with Channing Tantum. He is the only true thing in this over-blown, messy film. So many remarkable things happened in such a short period of time during my trip to Telluride, that it felt as if I’d been gone for weeks rather than days! Beginning with the amazing setting and incredible weather that left me wandering dazed along the mountain paths reluctant to even venture indoors–and ending with warm embraces from people who’d been mere acquaintances days ago! 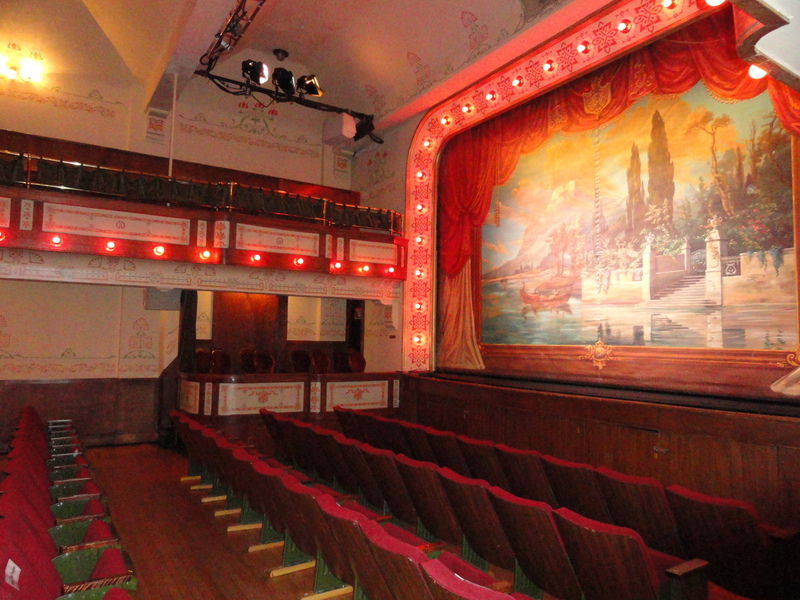 I really lucked out with my assignment: concessions at the lovely Sheridan Opera House. Suzanne Cheathers was the manager and, in her first year in the position, a total delight to work with — it was a tiny staff in a tiny venue and we quickly all became close (in both proximity and spirit!). Hearing of my white-knuckle drive late at night to my B & B in Rico, Suzanne invited me to stay with her instead! 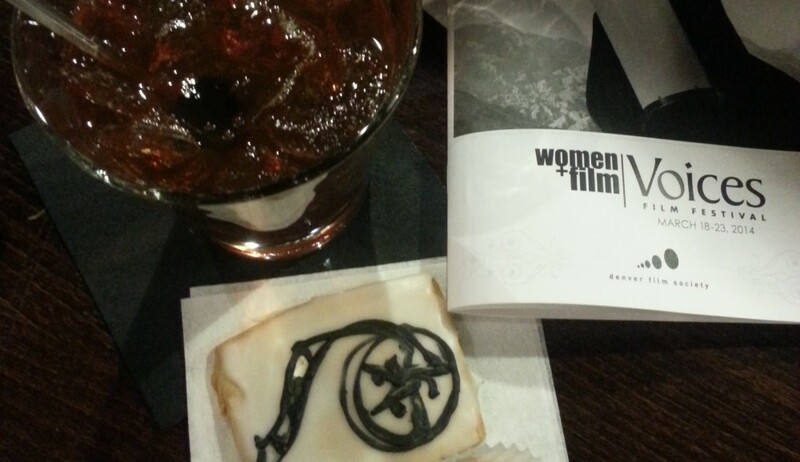 Working in such a small venue, the screenings had an intimate feeling and many of the shows were once-in-a-lifetime occasions: restorations, silent films, documentaries with filmmakers in attendance. I enjoyed seeing Too Much Johnson, Joyful Laughter and Ed and Pauline (directed by Christian Bruno & Natalija Vekic) about Pauline Kael! And the documentary that Gina Leibrecht finished after Les Blanks’ death called How to Smell a Rose. 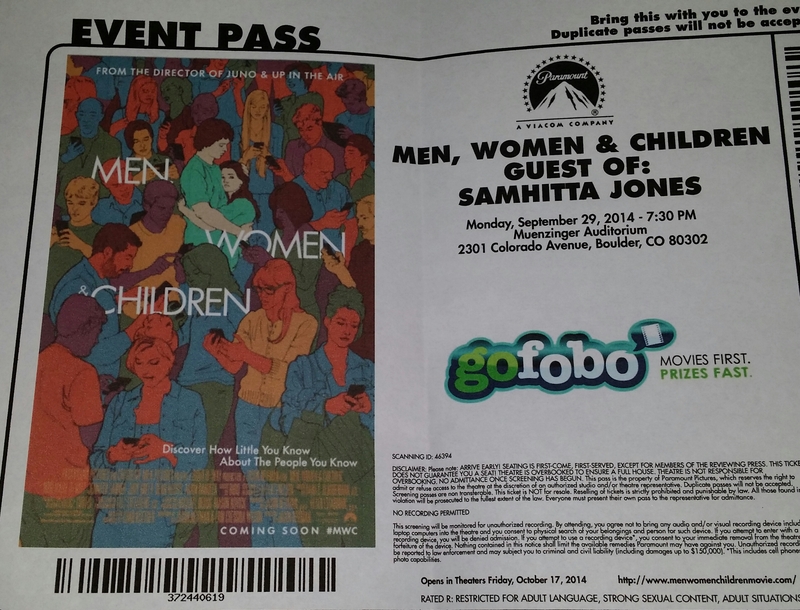 There is no way to see all the films you want to at the Telluride Film Festival but I was so glad I stayed for the late screening of The Look of Silence, the companion film to Joshua Oppenheimer’s extraordinary The Act of Killing. This film is unlike anything in the documentary world in it’s exploration of truth and consequences. Listening to Joshua speak about his filmmaking crusade, a journey years in the making and hearing how he put himself at risk was extraordinary. Then to watch Adi, the subject of the film, struggle with tears and deep despair, try to explain his motivation in being in the film–wow, what a remarkable experience. 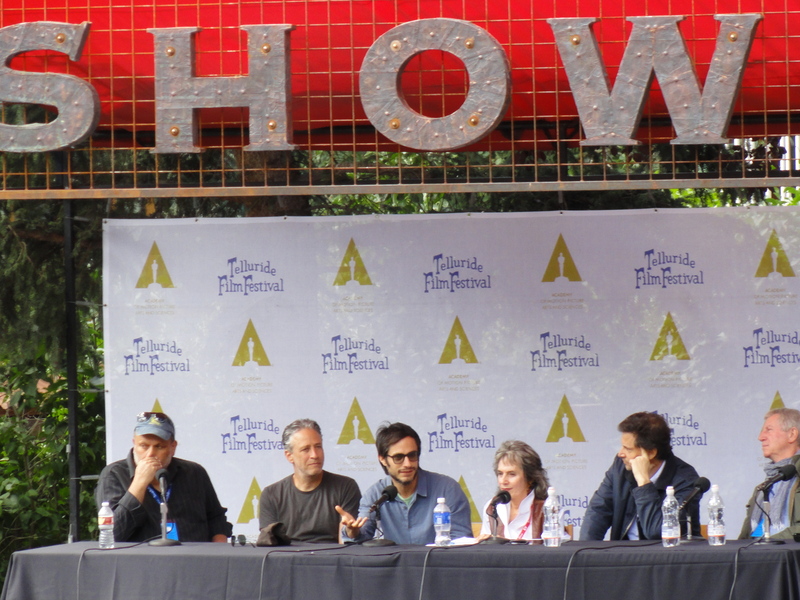 The buzz of the festival surrounded a few films: Wild Tales, Dancing Arabs, Jon Stewart’s directorial debut, Rosewater and my favorite of the festival: The Imitation Game. Two films with big stars drew mixed reviews: Foxcatcher and Homesman and sadly, not many seemed to like Wild. An oft repeated joke was “I wasn’t wild about Wild”, I found the panels, free to attend and outdoors in the park, one of the highlights. Packed with talent and star-power, it was a gathering of people that you’d never see together at any other event: national and international directors and stars chatting away about their influences and inspirations! Ethan Hawke was so impressed with the array of talent on the panel he sat on, that he could barely talk about his film–he kept saying how overwhelmed he was! Telluride is not an easy place to travel to. There’s a tiny airport with expensive flights, nearby towns are still a mountain-drive away and festival passes sell out quickly. 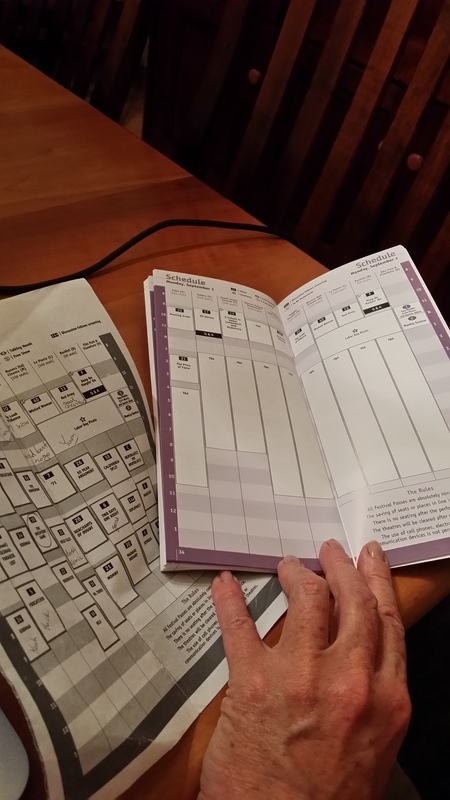 This keeps attendance to a manageable size and provides a certain cache to the festival. Press have to buy passes to attend and paparazzi are discouraged. Jon Stewart felt comfortable walking around town talking to visitors. Screenings are packed with filmmakers such as Ken Burns, Mike Leigh and Francis Ford Coppola and you may find yourself sitting next to Leonard Maltin or Werner Herzog! Staff return to favorite positions year after year and form a team of volunteers that are fiercely proud of the festival and protective of it’s reputation as a world-class event. 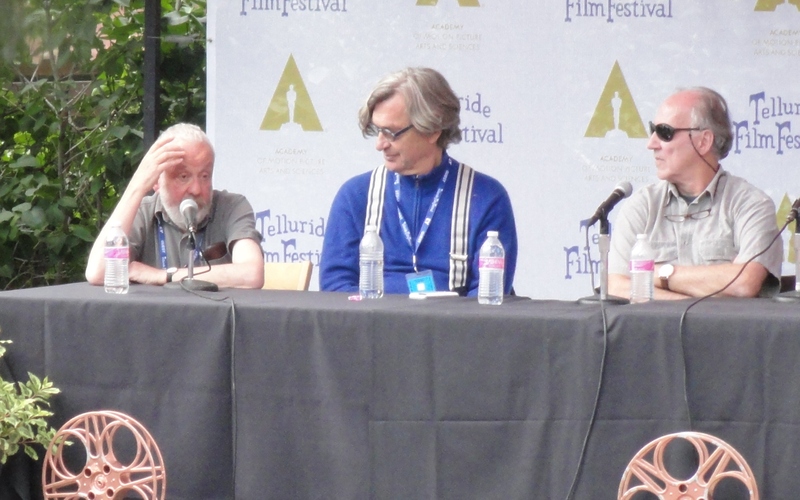 Telluride Film Festival is an amazing event in an amazing place made possible by the generous patronage of some well-heeled cultural icons and the dedication of a hard-working crew of hundreds.